Building upon an existing research paper I recreate figures of two populations coevolving on a minimal substrate. The problem here is population disconnection at which point both populations will drift toward a lower fitness level. 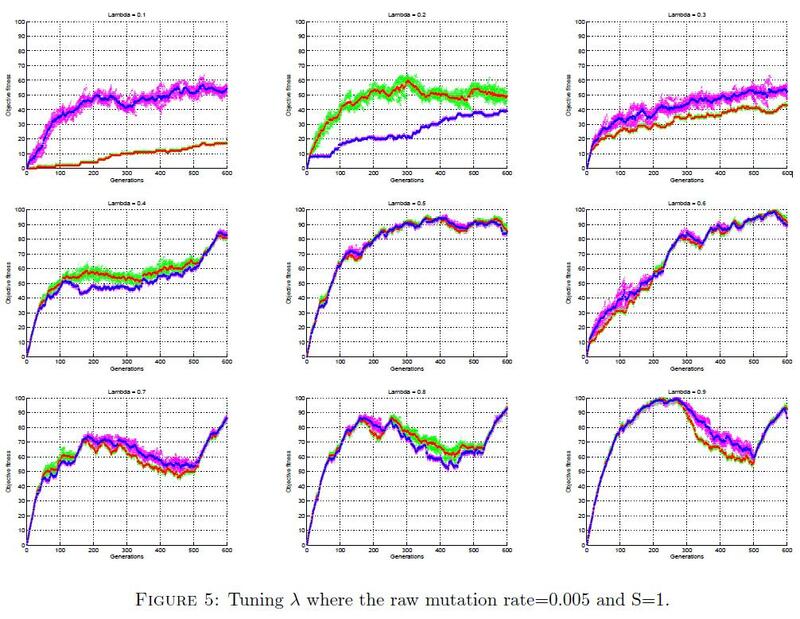 I then experiment on the populations ability to reconnect by using a dynamic mutation rate.